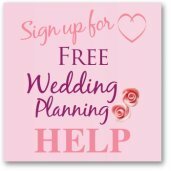 Where do you find cheap medieval wedding dresses? Your best bet is having a look online but before you do it is worth remembering that medieval wedding dresses came in all sorts of rich colors depending on your wealth! The wealthiest brides would have their gowns covered in jewels and I read one story where the bride's dress was so heavy she had to be carried into the church! Brides with less money would still have a beautiful gown but it would be one that they could wear after as their Sunday best. White wedding dresses only became popular in the Victorian times with Queen Victoria marrying in white in 1840. Today you can find medieval wedding dresses in any color you want, including white and they are much more personal. The most popular dresses have long skirts with the sleeves long and almost meeting the ground, a true fairytale medieval gown. The colors are rich and they are often in velvet, but it is the colors and the style that will set the dress apart. 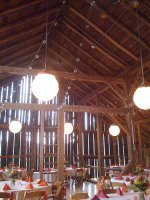 A medieval themed wedding doesn't mean that you have to have everyone dressed up, you can take the parts that are important to you. The cheapest medieval wedding dresses you can find at the moment are on Ebay, have a look as there is so much choice and you could end up paying anly a few dollars! That would be such a saving on a regular wedding dress. As with all purchases from Ebay make sure you check the sellers feedback scores and check that you are happy with the description. I bought a great medieval wedding dress for a friend in light grey, it arrived in only a few days and I only paid $7.00, the material was cotton and was perfect. You can also find Medieval Renaissance dresses on Amazon that would also be perfect and the prices are great as most are under $100. Click on the link to be taken to the Medieval dresses that are available at the moment. If you haven't been able to find your dream wedding dress, you make want to think about making your own. 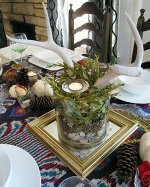 Or get someone else to make it for you using one of these great patterns. The cost will depend if you can make it yourself or pay someone to do it for you and also the cost of the fabric. Obviously the more luxurious the fabric, the more expensive it will be! And medieval wedding gowns were definately made from luxurious fabric! 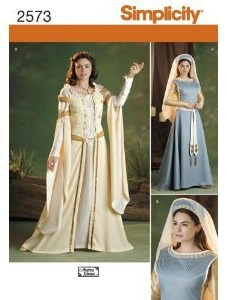 As well as traditional wedding boutiques it is really worth looking at costume stores for your medieval gown. 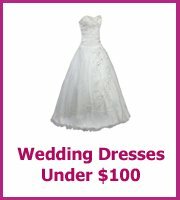 The prices are so much cheaper than a traditional wedding dress and they look great.